The pounding soundtrack pulses in the background, you swear it’s keeping pace with your heart-beat and if it should stop then you would too. 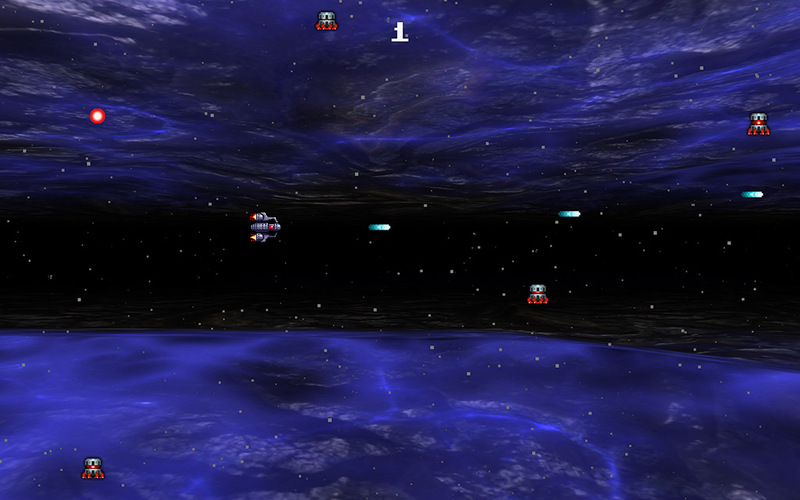 Wave upon wave of enemy comes flooding towards you, their missiles homing in on your position. 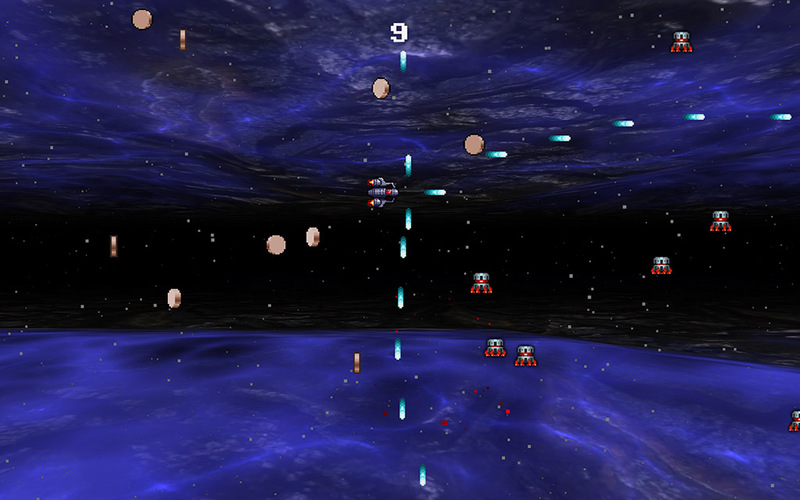 You dodge out of the way determined to collide with the power-up just hanging there in space - you really need to top up the rapid fire. It suddenly dawns on you that this didn’t happen last time, are you playing the game or is it playing you? What’s going on? That momentary hesitation was all it took for that missile to collide with you causing your ship to explode into a shower of red sparks. Access the source code now! 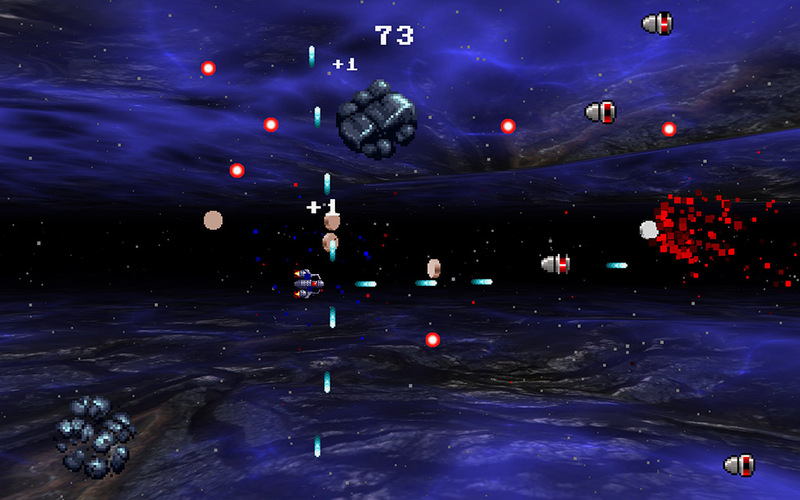 Blast your way through wave upon wave of enemies trying to take you out. Survive for as long as you can and get to the top of the global high score table. Blast Em! is the latest game from Xiotex Studios and originally started with a conversation with the respected journalist Will Freeman in a Coffee bar in London one day. 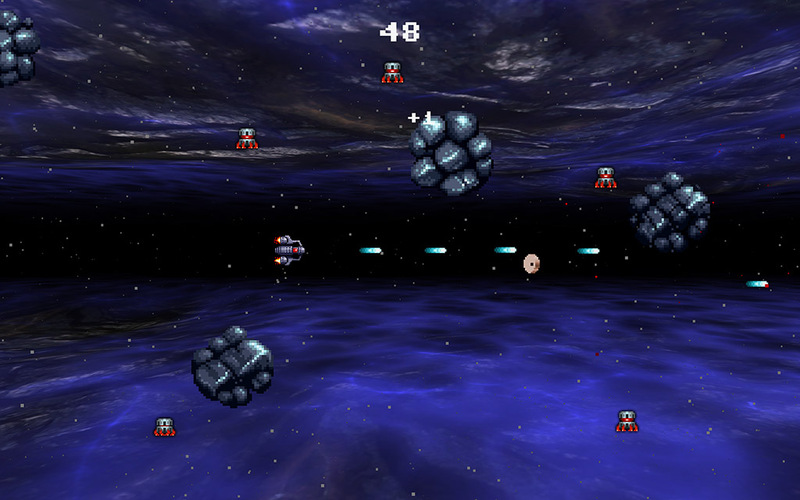 The developer, Byron Atkinson-Jones was getting Will's opinion on another game being developed called "So hungry" and the conversation drifted to Shoot-em-ups. from there the seed of Blast Em! was sown. If you would like to be kept informed of news to do with Blast Em! and our other games then subscribe to our mailing list. We promise to only mail you with major events and your details will never be shared with anyone else. As well as sharing the source code to the game I want to share everything I can about its sales progress in order to give a true picture of an average indie/micro studio game. This is largely an experiment in game development business so I am going to be trying out different ways of selling the game and I'll share the impact of that here. Dec 18, 2013 1 6 Humble widget A super special @Xplosivbadger took us up to $700 - THANKS! Dec 8, 2013 3 60 Humble widget Source code released. This is the number of visitors to the http://www.blastem-game.com domain on a per-day basis. This is the number of scores in the global high-score table, the number of players and the total time played in hours accumulated over time. So each day is a continuation from the previous day.